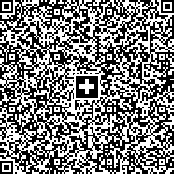 The QR-bill shows a QR Code symbol with a Swiss cross as the identifying feature and contains in digital form all the information necessary for payment encoding it in a given format or structure. Along with the printed information, the Swiss QR Code forms the payment part of the QR-bill in A6 format. It is suitable for billing in CHF and EUR and is fully compliant with the regulatory requirements arising from the revised Anti-Money Laundering Ordinance. 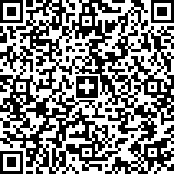 Swiss QR Code Symbol requires an error correction level "M", which means a redundancy or assurance of around 15%. Set the QRCodeProcessTilde property to True (this allows you to specify the CR LF sequence as ~h0D~h0A) and Code property = "SPC~h0D~h0A0100~h0D~h0A1~h0D~h0ACH4431999123000889012~h0D~h0ARobert Schneider AG~h0D~h0ARue du Lac~h0D~h0A1268/2/22~h0D~h0A2501~h0D~h0ABiel~h0D~h0ACH~h0D~h0ARobert Schneider Services Switzerland AG~h0D~h0ARue du Lac~h0D~h0A1268/3/1~h0D~h0A2501~h0D~h0ABiel~h0D~h0ACH~h0D~h0A123,949.75~h0D~h0ACHF~h0D~h0A2019-10-31~h0D~h0APia-Maria Rutschmann-Schnyder~h0D~h0AGrosse Marktgasse~h0D~h0A28~h0D~h0A9400~h0D~h0ARorschach~h0D~h0ACH~h0D~h0AQRR~h0D~h0A210000000003139471430009017~h0D~h0AInstruction of 15.09.2019##S1/01/20170309/11/10201409/20/14000000/22/36958/30/CH106017086/40/1020/41/3010~h0D~h0AUV1;1.1;1278564;1A-2F-43-AC-9B-33-21-B0-CC-D4-28-56;TCXVMKC22;2019-02-10T15: 12:39; 2019-02-10T15:18:16~h0D~h0AXY2;2a-2.2r;_R1-CH2_ConradCH-2074-1_3350_2019-03-13T10:23:47_16,99_0,00_0,00_0,00_0,00_+8FADt/DQ=_1=="
Set the QRCodeProcessTilde property to True (this allows you to specify the CR LF sequence as ~h0D~h0A) and Code property = "SPC~h0D~h0A0100~h0D~h0A1~h0D~h0ACH3709000000304442225~h0D~h0ASalvation Army Foundation Switzerland~h0D~h0A~h0D~h0A~h0D~h0A3000~h0D~h0ABerne~h0D~h0ACH~h0D~h0A~h0D~h0A~h0D~h0A~h0D~h0A~h0D~h0A~h0D~h0A~h0D~h0A~h0D~h0ACHF~h0D~h0A~h0D~h0A~h0D~h0A~h0D~h0A~h0D~h0A~h0D~h0A~h0D~h0A~h0D~h0ANON~h0D~h0A~h0D~h0ADonation to the Winterfest Campaign"